It's just the little heart gifts that money cannot measure . . .
Are priceless little treasures from the storehouse of our God . . .
For thoughtfulness and kindness and love are never sold . . .
And the giver finds rich recompense in giving them away. 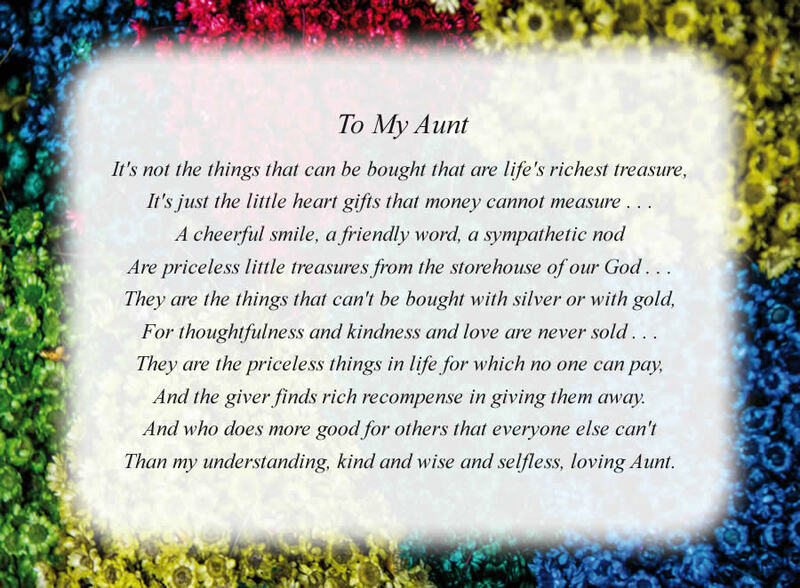 Than my understanding, kind and wise and selfless, loving Aunt. The poem, Only One Aunt, is free and printable by opening or downloading using one of the three links below.